Most parents of autistic children know that these special kids can react differently to the senses of strangers putting their hands their mouth, the strange sounds and tastes, in addition to bright lights, and occasional pain they are already sensitive to on top of the common fears of the dentist that many children share. Needless to say, the experience can be traumatic for both parents and autistic kids. With that in mind, we at Smile Reef would like to discuss some tips and suggestions that can help make the experience less traumatizing for you both. –	Do you treat kids with special needs? –	How is children’s anxiety handled? –	Are parents permitted to stay with their children throughout the whole duration of the visit? –	What does the dentist do if a child’s behavior is a challenge? –	Consider their responses carefully and determine the experience they have working with special needs kids, including those with autism. 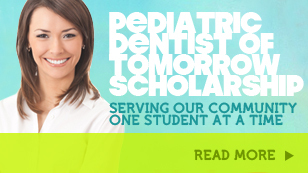 Many pediatric dentists take on the extra training and continued education to work with these special kids. A major red flag, however, to a solution for managing a child’s erratic behavior and anxiety is to strap the child to a “papoose board” to keep them immobile, unless in the event of an EXTREME emergency. It may be temporary fix for the moment, but all it would do is increase the anxiety and melt downs on future dental visits. 1) Consider printing some pictures or finding a kids book regarding a trip to the dentist. Explain what goes on at the dentist and what the dentist does for their teeth. Read through the story or relate the pictures you find frequently and bring it with you when you get to the dentist to familiarize your child with the procedure. 2) Invest in some basic dental tools to let your child touch, see, and interact with them before heading to the dentist. 3) Avoid the discomforts and exploit the comforts of your child. For example, some kids detest mint flavored tooth paste and react well with a bubble gum flavored, bring their toothpaste for the dentist team to use to avoid the sensory melt downs. 4) Bring your kid’s tablet or portable device to play their favorite movies and such during the visit. A distraction might be all that is needed to get the visit completed. 5) If you fear that the lights and noises might be an issue, have your child wear sunglasses, headphones or ear plugs. 6) If the dentists allow parents to be with the kids, do not back seat drive or flinch, it will distract the dentist and give your child more anxiety. 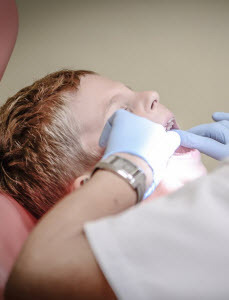 Let the dentist do their job and if you feel the dentist didn’t handle your child right, simply find a new dentist. 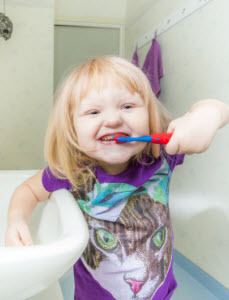 These are just a few ideas to help you, your child, and the dentist get through the experience. You know your kid best. If you have any specific, unique questions or requests regarding your child’s individual concerns, always feel welcome to ask the dentist. Smile Reef has the training and experience to work with special needs children including those with autism, and even offer sedation dentistry if that is the best solution for your child. Call our office today to learn more.